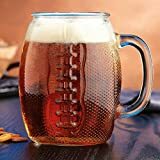 When you combine football and drinking beer, you get this quite appropriate Touchdown Football Beer Mug. 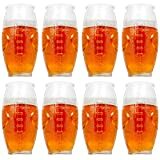 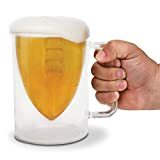 This sporty beer mug lets you drink from a football, but don't worry about fumbling it because it also has double-walled insulated construction and a handle on the side. 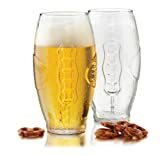 It holds 18 oz of beer or other fine beverages and only needs to be refilled instead of inflated.